Magento 2 Same Order Number by Mageplaza helps store owners easily create the same Increment ID for associated billing documents including Order, Shipment, Invoice and Credit Memo. In Magento Default, the increment IDs of Order, Invoice, Shipment and Credit Memo are generated based on the generation time. As a result, the IDs of a pack of billing documents for an order are different, which makes both store owners and customers feel confused and find it difficult to track and follow the orders. It is necessary that there should be a supportive tool to create the same increment IDs for Invoices, Shipments and Credit Memos as Order ID. This will bring unity for associated billing documents. Mageplaza Same Order Number allows creating the same ID number for related billing documents associated with the same order after customers make purchasing. The documents include Invoice, Shipment and Credit Memo. 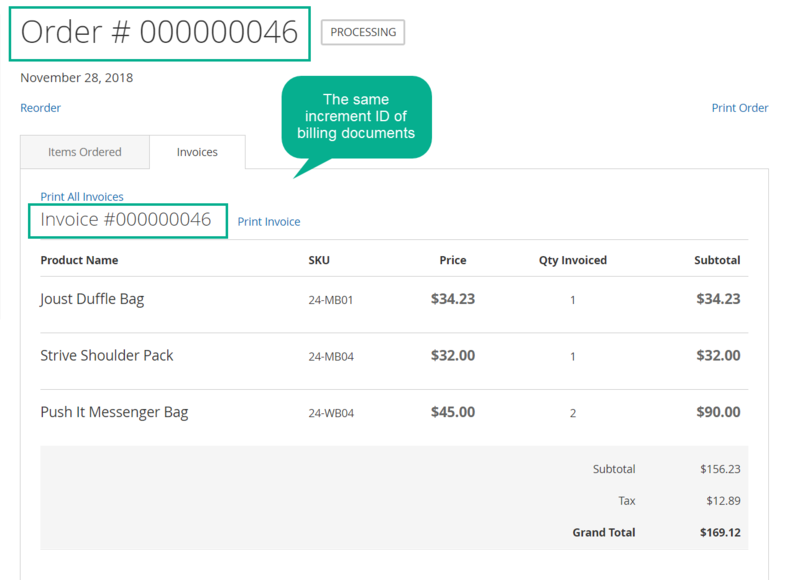 In case there are multiple invoices, shipments or credit memos associated with the same order, Same Order Number allows adding a duplicate separator. For example, the first invoice would be #00100, the second #00100-1, the third #00100-2, and so on. The same increment IDs for invoice, shipment and credit memo are well displayed in the storefront. The united pack of billing document IDs helps both customers and store owners follow and track easily and conveniently. View the record from storefront from customers’ login account. filter_drama In which billing documents can I create the same increment IDs as the orders? You can create the same increment IDs in Invoice, Shipment and Credit Memo. filter_drama If I have several invoices for the same order, how can I recognize? 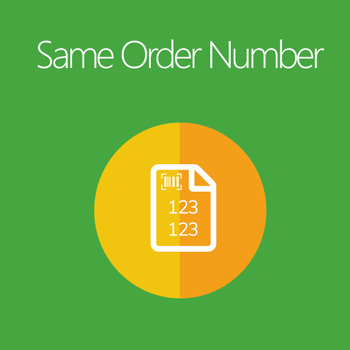 For this case, Same Order Number automatically add a duplicate separator. For example, the first invoice would be #10000, the second #10000-1, the third #10000-2, and so on. filter_drama Do the ID increments display from the frontend? Yes, absolutely. The customers can view their order information with full billing documents with IDs from their login account. filter_drama Paypal creates invoices automatically. Is it compatible with Same Order Number? Yes, the module is properly compatible with any payment methods which create invoices automatically. Essential Addon for any store! This module really helps resolve my issues. Currently, everything is working well on my website and It is a useful extension, and it's working very well, just install and configure and work Thank you so much again. This module really helps resolve my issues. Currently, everything is working well on my website and It is a useful extension. Thank you so much again.